Louisiana is one of the few states in the country with a direct action statute. A direct action statute allows an injured person (the plaintiff) to sue the insurance company of the person or entity who caused their injury directly. In other words, the plaintiff does not even need to sue the person who hurt them to be able to sue the insurance company. They can skip right to suing the insurance company. The insurance company defends itself and is entitled to most of the same rights and defenses in court as the person who caused the injury would have been. This means that time limits and other procedural concerns still apply, but things like spousal immunity generally do not. Insurance companies are armed with good lawyers, and you should be too. 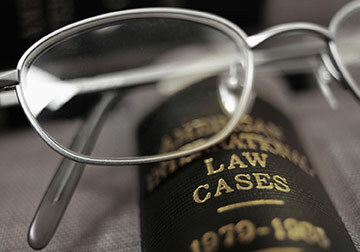 Contact one of the experienced Lafayette Personal Injury Attorneys listed here to help you get the justice you deserve. A Lafayette personal injury attorney will be well versed on who to sue and what parish to file the personal injury lawsuit. Lafayette Direct Action Law applies in any accident where an injury occurred in Louisiana and the person at fault was insured, the Direct action statute applies. Some common examples are car accidents, slip-and-fall cases, and professional malpractice cases. In an effort to reduce the cost to society from uninsured drivers, Louisiana has reduced the right of uninsured drivers to recover damages after Lafayette car accidents. Lafayette drivers who do not carry liability insurance cannot recover the first $15,000 of bodily injury damages or the first $20,000 of property damages after an accident (RS 32:866 Compulsory motor vehicle liability security; failure to comply; limitation of damages). This law has many exceptions, and generally does not apply to passengers. If you or one of the other drivers involved in an accident did not have insurance at the time of the wreck, contact a Lafayette Car Accident Lawyer to learn your rights. If you or a loved one is in need of an attorney to sue an insurance company, whether it be for something they have done to you directly or under the Louisiana Direct Action Statute for the actions of one of their policyholders, contact a Greater Lafayette area personal injury attorney on this site for a free initial consultation.